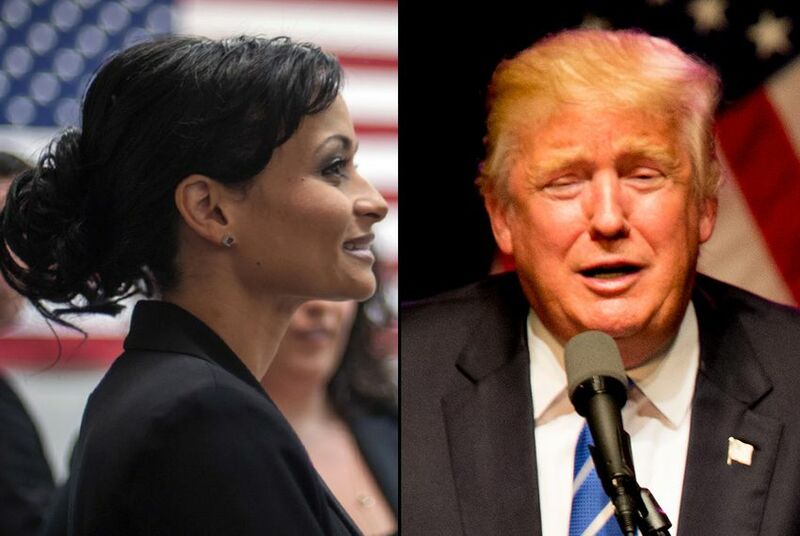 President Donald Trump has asked former national campaign spokeswoman Katrina Pierson to rejoin the Trump Campaign as a senior adviser. Before joining Trump's orbit in 2015, Pierson had been a fixture in Texas Tea Party politics. President Donald Trump has asked his former national campaign spokeswoman Katrina Pierson to rejoin the Trump Campaign as a senior adviser two weeks after he tapped Brad Parscale, another Texan, to serve as his campaign manager. Trump formalized the appointment in a news release Tuesday. Pierson will be joined by John McEntee, a former personal aide to Trump during the 2016 campaign, who will serve as a senior adviser for campaign operations. The news of Pierson's role on Trump's team comes just after the president removed U.S. Secretary of State Rex Tillerson, a native Texan, from his Cabinet post, replacing him with CIA Director Mike Pompeo. "As we build out our operations for the 2018 mid-term elections and the 2020 reelection campaign, we are pleased to welcome back two outstanding members of our 2016 team,” Parscale said in a news release. “We need the help of proven leaders such as Katrina and John to promote the President’s growing portfolio of achievements across the country." While Pierson, who hails from the Dallas suburbs, was not overtly vocal on her interest in the role, she was one of Trump’s most visible supporters throughout his 2016 presidential campaign. Pierson was named the campaign’s national spokesperson in November 2015 but had a series of flubs during her tenure. In mid-August, she alleged that the initial U.S. invasion into Afghanistan — which started in 2001 — was started by President Barack Obama. She also blamed Obama and former Secretary of State Hillary Clinton for the death of Capt. Humayun Khan, whose parents were ardent opponents of Trump. Khan died in 2004, however, and neither Clinton or Obama had then assumed their roles in the White House. "Katrina and John will play pivotal roles on our campaign once again as we develop a winning strategy through 2020 to Keep America Great," Michael Glassner, chief operating officer of Trump for President, said. "They will also contribute tremendously to our national engagement in the mid-term elections this year. We’re delighted to have them back on the team." Before she joined Trump's presidential campaign, Pierson had been a fixture in Texas Tea Party politics for several years. She was an early backer of U.S. Sen. Ted Cruz, and in 2014 she unsuccessfully ran against U.S. Rep. Pete Sessions of Dallas in the GOP primary.